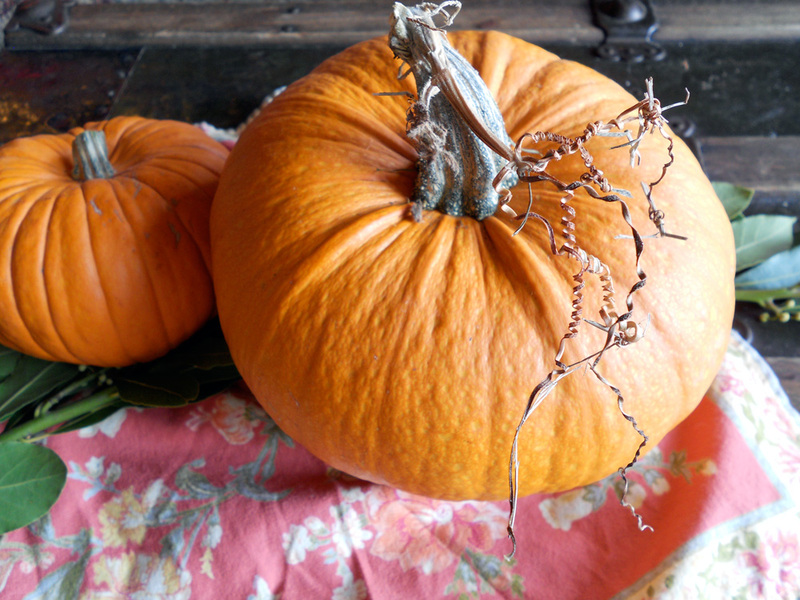 It’s All Hallows’ Eve, so pumpkin seems like the perfect post today! We carved spooky faces into a couple of pumpkins earlier this week, but I much prefer to eat them. 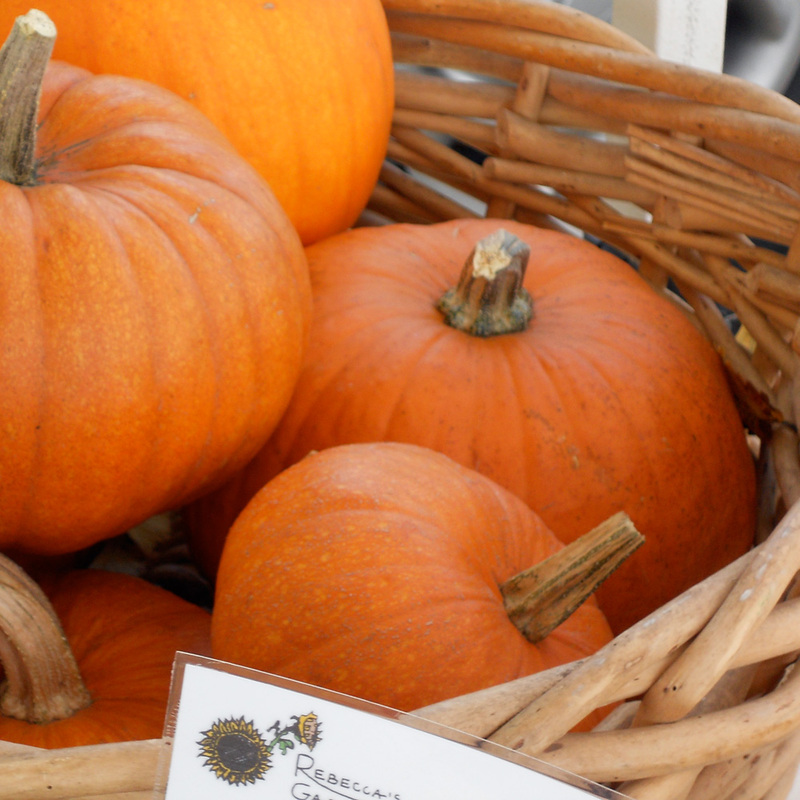 Soup, roasted with spices and sugar and eaten in a salad, in cakes and muffins; delicious – but my favourite way to eat pumpkin is in pie form. 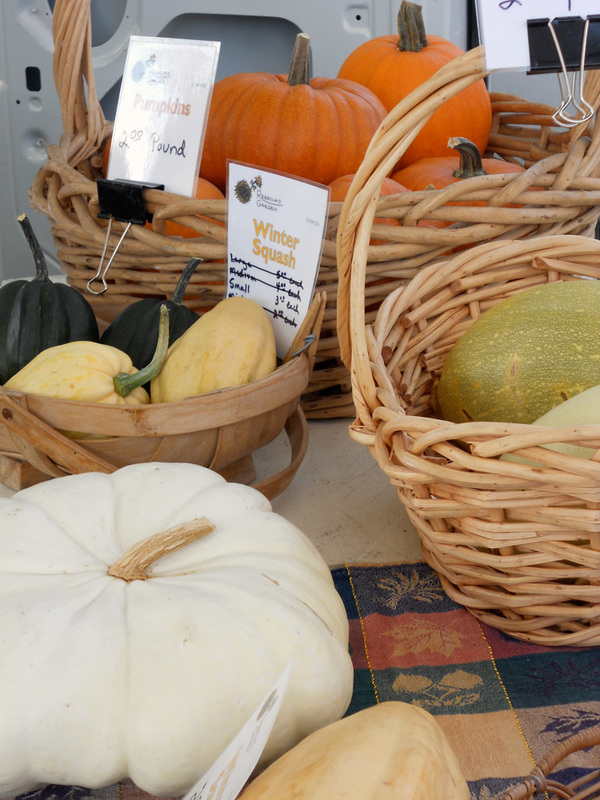 So many varieties of squash are available at the farmer’s markets. This year I tried coming up with my own recipe for the filling. A bit of trial and error occurred with three different attempts. I’m still not sure it’s perfect, but that might be because I slightly overcooked the last trial. The other experiment this year was finding a gluten-free crust recipe. I found two I wanted to try, but opted for the nut-based one here. 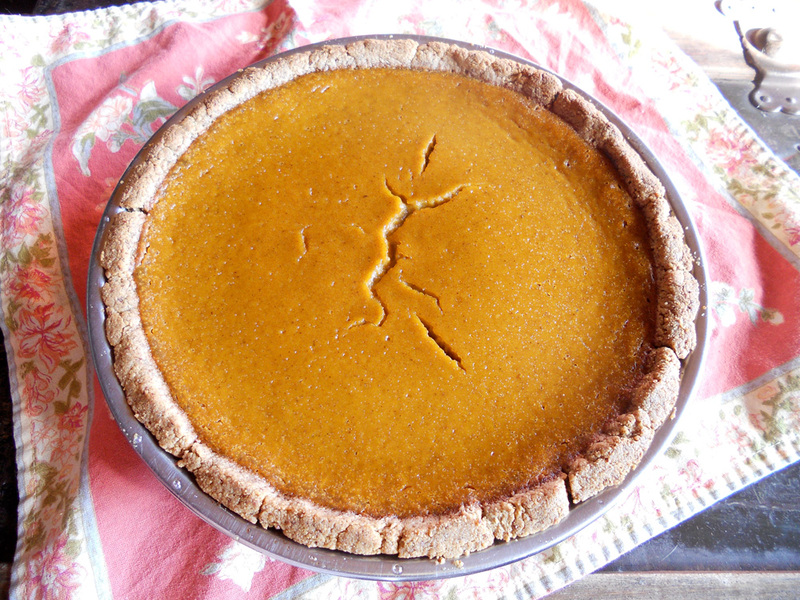 It was a crumb-style crust and the flavour was perfect with the pumpkin filling. The other recipe I will try soon for making a fruit pie. When not making treats for my gluten-free friends, I almost always use a Pâte Brisée recipe for pastry. This is an easy recipe to find. Three tricks for ease with pastry: add a bit of fresh lemon juice to the water, keep everything cold and don’t overwork it. Combine all ingredients in a large bowl and whisk until well combined and creamy. Fill you pastry shell. Bake at 425° for 15 minutes, then reduce the temperature to 350° and bake 35-40 more minutes until the custard is set. With the nut crust, I just used 350° for the whole baking time as the crust had been pre-baked and I was afraid of it burning at the higher temperature. 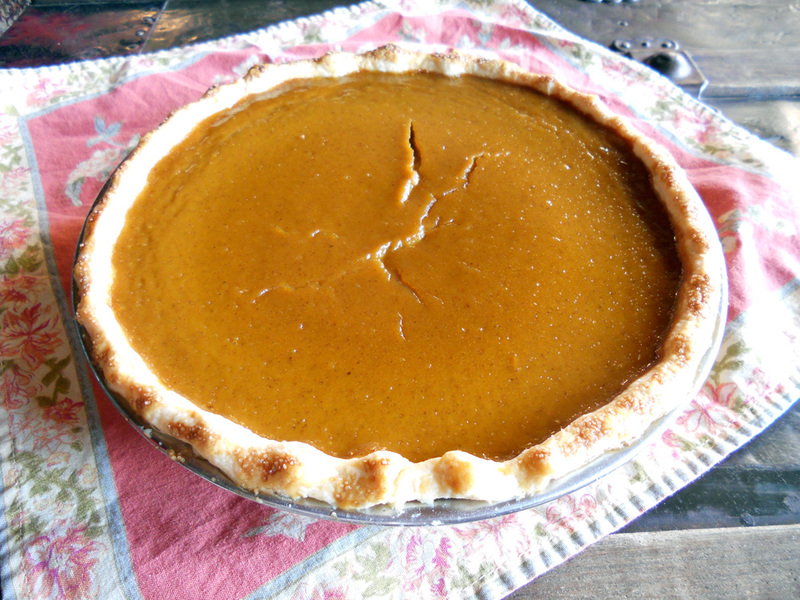 Let the pie cool completely on a rack and enjoy at room temperature or chilled. Yum! First pie of the season. This one used the Pâte Brisée pastry. The filling didn’t set very well. I had used 2 tablespoons of sherry in the filling and wonder if that may be why. It was still DELICIOUS! This was attempt number two with the Paleo nut crust. The filling set a bit better with this one (I reduced the amount of sherry to 1 tablespoon). This will be on my table for Thanksgiving! Thanks for sharing your recipe!